Grammy® Award-winning Dashon Burton brought home a Second Prize from the 2012 ARD International Music Competition in Munich (no First Prizes awarded), along with the First Prize in Oratorio at the 49th International Vocal Competition in ‘s-Hertogenbosch, the Netherlands. These awards follow his 2012 first place wins in both the 2012 Oratorio Society of New York Competition and the Bach Choir of Bethlehem’s Young American Singer Competition. 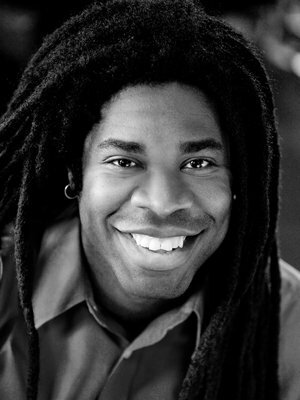 During the 2013-2014 season, Dashon makes his debut with The Cleveland Orchestra in Janáček’s The Cunning Little Vixen, conducted by Franz Welser-Möst; performs in St. Matthew Passion with the Charlotte Symphony Orchestra and on tour in the Netherlands; and debuts with Boston’s Handel and Haydn Society in Handel’s Samson. In Summer 2014, he sings Bach’s St. Mark Passion at the Oregon Bach Festival and St. Matthew Passion at the Carmel Bach Festival.